Can The Gunners end their quarter-final jinx? Arsenal will be looking to make it to the Champions League quarter-finals for the first time in five years when they entertain AS Monaco at the Emirates Stadium tonight. A series of shocking draws in recent years means Arsene Wenger's men haven't been able to make the impact of the competition their talented squad should be capable of. Despite this shocking run, the Gunners' faithful will be thinking it is their year after finally getting the kind tie they have been craving for so long. Arsenal's progress in the competition over the last five seasons has been ended by a number of European powerhouses including Barcelona and Bayern Munich. 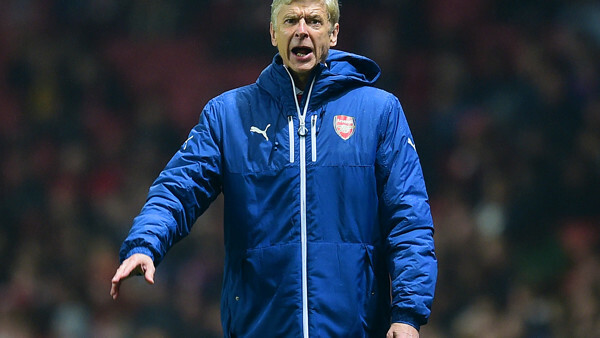 Arsene Wenger will see tonight's French opponents as a much more winnable tie. The home side, who have qualified for the knockout phase of Europes premier club competition for the 15th year in a row, will start as favourites to progress to the quarter-finals after winning eight of their previous nine matches. They will obviously be looking to continue that form in tonights game and hope that the luck that has blighted them for so long also continues to be in their favour. It has to be said, The Gunners did get slightly lucky in this year's round of 16 draw after finishing second in group D behind Borussia Dortmund on goal difference. The draw could have been a lot worse. Monaco come into the game having lost just one of their last 17 games in all competitions following Fridays 1-0 win at rivals Nice, a result that saw them move up to fourth in the Ligue 1 standings. Leonardo Jardims side topped a tricky looking group that included Bayer Leverkusen, Zenit St. Petersburg and Benfica. In what will be the first ever competitive meeting between the sides, Arsenal will be confident of progressing having remained unbeaten against French side for almost 13 years, since Auxerre turned them over by two goals to one in the 2002/03 group stages. Manager Wenger will be without Aaron Ramsey (hamstring), Alex Oxlade-Chamberlain (groin), Mikel Arteta (ankle) and Mathieu Debuchy (shoulder)for the game. Meanwhile, Monaco may have both Belgian winger Yannick Carrasco (thigh) and France defender Layvin Kurzawa (bruised quadriceps) missing through injury.